The Act states that the EPA has 30 days to approve or reject each state’s biennial list of “impaired” waters. Michigan sent its list, which included their portion of the lake, last month. Ohio’s list, which did not include Lake Erie, was sent in October. Once the EPA says a water body is impaired, it sets a daily limit on pollution. It also identifies sources of the pollution. “The impairment designation is the first step in getting a tri-state pollution diet that will bring a measure of accountability for Michigan, Ohio, and Indiana,” Szollosi said. The EPA says it is still reviewing the Michigan and Ohio lists. 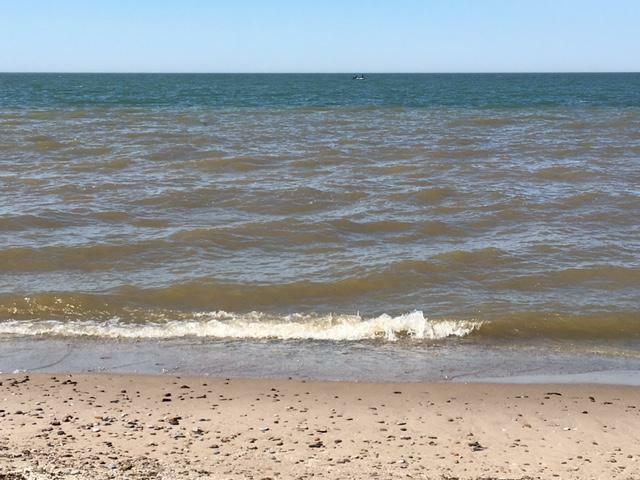 Szollosi says a pollution diet for western Lake Erie could lead to similar action nationwide. “If we can resolve this here, it could provide direction for Grand Lake St Mary’s, it could provide direction for other smaller inland lakes across the country that are suffering from an increasing presence of harmful algal blooms,” said Szollosi. He compares the plight of Western Lake Erie to that of the Chesapeake Bay, which received an impairment designation in 2010.